Each month financial numbers are analysed. A time to analyse the results for the month and a chance to plan for the new month ahead. If you are searching for new ways to grow sales and build your business then HubSpot may well be the best decision you ever make. 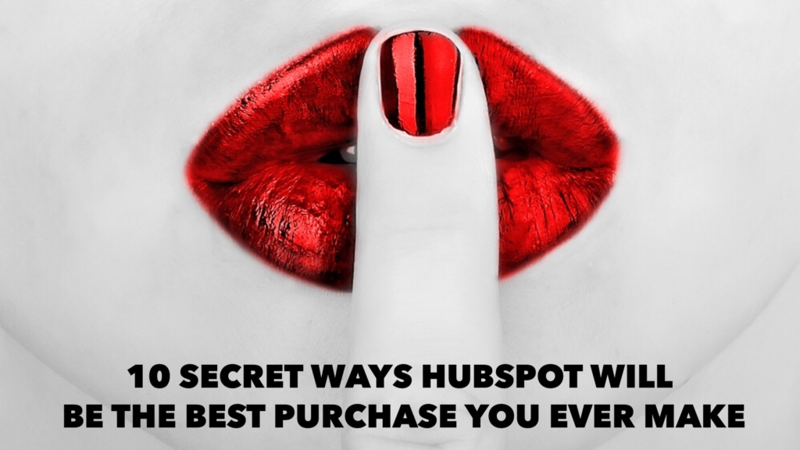 Here are 10 secret reasons why HubSpot will be the best decision you make in the new financial year. 1. HubSpot lets you see who is on your website. If you have the email address of your contact, then you can see all of the web pages that the contact clicks on. HubSpot allows you to segment your email list and have multiple people on each different list, better still, you can generate workflows to automatically create a series of emails to a list. 3. The HubSpot Sales CRM. The CRM gives you access to 18,000,000 companies from around the world. It shows the client details, related companies, email names. You can filter by industry, country, location. It is the perfect prospecting tool. 4. The HubSpot Sales CRM gathers up emails. This gives you clarity on how people are coming to your website. You can see the different mediums and the impact that they have. Drilling down further shows the specific mediums that are driving traffic. 6. Auto filling contact data. When you enter a contact into the HubSpot contacts database, the contacts automatically fill up information from the internet. Put the domain in and it gathers all of the information from the Internet. This provides you insight into the keywords that give you maximum return, so you can then be focussing on maximising your organic Google search. By showing you the keywords that you should be focusing on, you can write blogs and site pages for maximum traction in your marketing. The campaigns tool allows you to track all of your call to actions, landing pages, emails, keywords, blogs, social media marketing and website page performance. All in one easy to read dashboard. You get complete clarity on the return on investment of your marketing campaigns. A campaign can be built in just 30 minutes to giving you complete information across the board. 9. The form creation tool. This tool is easy to use and allows you to build and add fields to the HubSpot database as you need them. It allows you to survey the customers on any data that you would like to harvest. HubSpot automatically fills in the form with the known data of the contact to make it easier for your prospects to fill out the data. 10. Suggestive SEO and Links in the blogging tool. HubSpot recommends the pages that you should link as well as dynamically suggesting ways to improve your search ranking, specifically to that blog post. If you would like to discover more about this remarkable platform, we have a range of ways to kickstart your journey. Feel welcome to discover more below.